Officially adopted as the EU symbol in 1985, the design of the European Union flag dates back to 1955, and it had been used extensively in the intervening years. 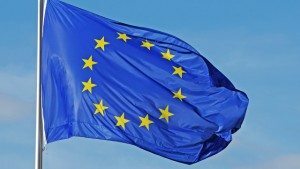 If they ever discuss the flag’s origins, EU bureaucrats sternly dismiss the myth that the symbol is in any way religious, or that it has something to do with the Virgin Mary. What pious nonsense! The problem is that this interpretation is exactly correct, and can easily be demonstrated to be so. The story also takes us back to a time when the European ideal was quite definitely a Catholic dream. In December 8, 1955, on the Catholic Feast of “The Immaculate Conception of Mary the Co-redeemer”, the European Ministers delegates officially adopted the European flag, twelve stars on a blue background, designed by Arsene Heitz, who, today, is an octogenarian artist in Strasbourg. Recently Heitz revealed to a French magazine the reason for his inspiration. According to the artist, he thought of the twelve stars in a circle on a blue background, exactly the way it is represented in traditional iconography of this image of the Immaculate Conception. A devotee of the Virgin Mary, Heitz never misses praying a daily Rosary. Heitz noticed the words of the Apocalypse, “And there appeared a great wonder in Heaven; a woman clothed with sun, and the moon under her feet, and upon her head a crown of twelve stars,” (Revelation 12:1) As a devout Catholic, he applies this to Mary, whom Catholics worship. The European Union’s flag consists of twelve stars, inspired by the halo of twelve stars that appear around the Madonna in Catholic pictures of her. And, that is how a profoundly religious symbol came to be the official European Union flag. A former secretary-general of the Council of Europe, Leon Marchal, affirmed that the stars are those of “the woman of the Apocalypse.” Enthusiastically he explained, “It’s wonderful that we have gotten back to the Introit of the new Mass of the Assumption. It’s the corona stellarum duodecim (the crown of the twelve stars) of the woman of the Apocalypse.” The Catholic Church has always claimed that she represents the Virgin Mary, “the mother of God.” This means that the European flag is a Catholic flag. 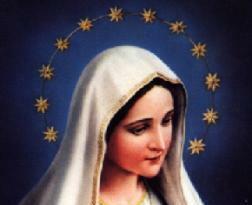 The Marian (Mary worship) symbol of twelve stars is on every license plate of the European Union and every banknote in Europe. Vatican-issued Euro coins have the Pope’s image with twelve stars. Pope Francis, a Jesuit Pope, said that Europe needs to “get back to her roots”, directly referencing that Europe was primarily Catholic for 1260 years under it’s authority to fulfill a prophecy found in Revelation 13:3-4. The Jesuit Pope addressed all of the members of the European Parliament also, which should give everyone who knows the history of the dark ages, as well as the work of the Jesuits, a definite cause for concern. To learn more about the Jesuits, go here. Indeed, the European Union is dedicated to Mary, and is a continual token which testifies that it is for the reunification of the Catholic supremacy which was held in the dark ages over the nations of Europe. But it was the gospel, under the translation of the Bible through Luther, which led the German princes to take a stand for the Bible and to oppose Papal supremacy which allowed the people religious freedom. It was the Spirit of God which shone as light in the darkness, to shine into their hearts the light of the knowledge of the glory of God in the face of Jesus Christ. And it was this gospel, thus resisted and rejected by the Papacy, that brought about the loss of it’s authority over the kings of Europe progressively more and more, until in 1798, that power was removed. In adherence to that very doctrine that she does not change, Catholics have sought to enforce Sunday legislation upon the civil power, showing that she would do exactly what she has done before. For those who have looked at our article, From Sabbath to Sunday, you know it is a practical confession that Sunday sacredness is, in fact, of pagan origin by the Pope’s own confession, and did not originate from any precept in the Bible. It two centuries after the last apostle died. In essence, the darkness of the Papacy is being revived.